The Olde Gate Inne nowadays resides at theoldegateinne.co.uk. There is a well-cemented pub culture all over England, as well as the rest of the British Isles. Englishmen go to pubs to eat, drink and socialize, and that's how it's been done for centuries. 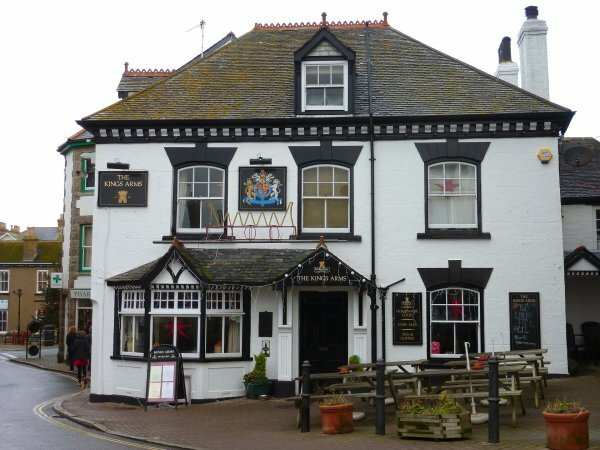 This culture roots from the time of the inns, which is an older version of today's pubs, where you could find food and drinks but also accommodation while travelling about. To this day there are still many old-style inns spread out over our beautiful country, and they are more popular than ever. This little website aims at explaining the concept of the old style British Inn. In past times, in every town and village with a church and a rectory, there was also an inn. This was the place where men gathered to share experiences, opinions, drinks and meals — and men of all levels of society were welcome. The inn was the centre point of any town and the host of the inn was always a respected man as he served the locals with something much-needed — a warm and inviting place to gather, eat and drink in the company of others. The inn host usually regarded his task as a mission rather than a job. The inns carry a long tradition of serving passers bys and pilgrims with housing, bread and wine; giving the rest and energy to continue their journeys. From the beginning this was a task for the monasteries. The inns of today carry much of the old tradition, and we appreciate them for many reasons, not the least because remind us of past times. The architecture and interior of an inn usually dates back many centuries and often with details that show religious meaning. Here is a very nice little film about the old English Inns — a great place to continue after this site. © 2019 Oldgateinnbrassington.co.uk. All Rights Reserved.